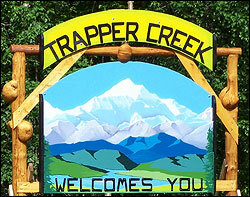 Trapper Creek Community Center, Milepost 115.2 George Parks Highway. Turn left on E. TC Park Circle. Board Members in Attendance: Ritenburgh, Miller, Glenka, and Morrill. Members: Shawn Stankowitz, Jason Garrett, George Faerber, Chrystal Mayer and Dave Essex. 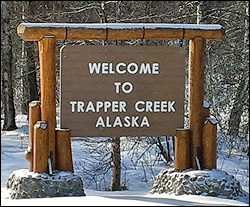 Guest: Eric Chappel, Talkeetna Fire Chief. Special Guests: Borough Assembly Representative Tam Boeve. AFFF fire extinguishers contain a foam which produces a skin like covering to help cool and searing temperatures. As well as slashing the temperature, this starves a fire of oxygen and breaks the fire triangle resulting in a struggle for the blaze to stay alight. Eric offered for Talkeetna FD to recharge (TC to pay foam). Has to do with getting reduced homeowners insurance rates. Ken Barkley is already putting aside equip., i.e. hose etc. This entry was posted in Issues, Meeting Minutes on March 22, 2019 by Chris Boone. Board Members in Attendance: Ritenburgh, Miller, Glenka, and Morrill. Members: Shawn Stankowitz, Jason Garrett, George Faerber, Chrystal Mayer and Dave Thompson Guest: Eric Chappel, Talkeetna Fire Chief. This entry was posted in Issues, Meeting Minutes on March 20, 2019 by Chris Boone. Contributions of no more than $50 per member per year are accepted to meet the costs of our operations. This entry was posted in Issues, Meeting Agendas on March 6, 2019 by Chris Boone. Most MSB training can be attended by volunteers-free of charge- but without state certification. Certification can be obtained by paying for training. Any MSB training that requires a payment to attend will be noted as such prior to the training. Discussion regarding continued funding for: maintenance, building upkeep, etc. This entry was posted in Issues, Meeting Minutes on February 24, 2019 by Chris Boone. I. Meeting called to order 6:39 pm. II. Board Members in Attendance: Miller, Grelson Kolbeck and Glenka. Members present: Shawn and Jennifer Stankowitz, Randolph Killian, John Glenka, Klaus Lerch, Martin and Diane Bee, Laura DeRungs, Ken and Peggy Marsh, Angela Parsons, Lon McCullough and Kristie Parsons. III. Agenda approved. Parsons objects to two Council members not stepping aside due to their being somewhat closely tied to the issue. IV. Public Forum: Open discussion on the proposed gravel pit issue. Discussion of the talking points that will be brought forth by a Council representative as public comment to the Borough at the Planning meeting July 6th in Palmer. Motion by Grelson to accept the talking points discussed at the meeting, seconded by Diane Bee. Motion passed unanimously. This entry was posted in Issues on July 10, 2015 by Chris Boone.